Capped by an almost universal decrease in average attendances for the following year, Melbourne Victory’s loss of over 130,000 from 2014-15 to 2015-16 was the surest sign of an uninspired audience. That may have been the domestic story we heard across the board from commentators. And it’s certainly the way that one nation sports assess their own successes. But let’s be honest: when compared to the concerns of the attendance records at A-League fixtures, the fact remains that bigger things were happening for our country, and domestic football had to take a back seat in 2015. Internationally Australia could not have been in a better place. 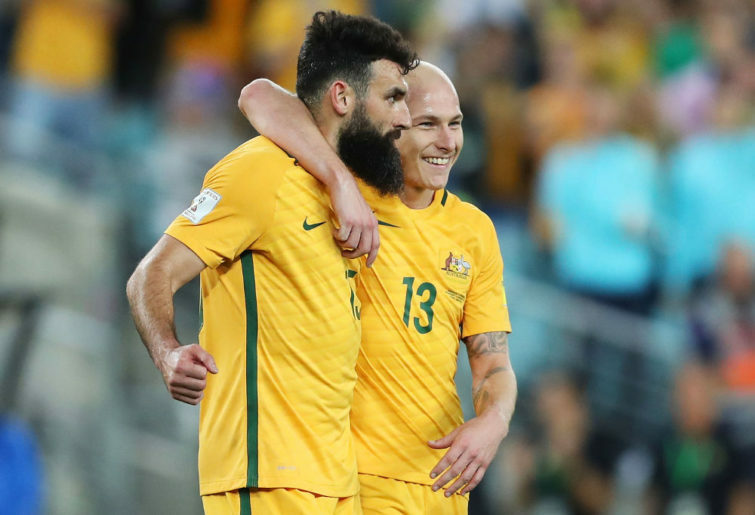 The 2015-16 A-league season was certainly a slump from the year prior, but it was also the year the Socceroos’ got their first piece of silverware, hosting and winning the 2015 Asian Cup. The tournament was capped off by the 2-1 final victory against South Korea, with over 70,000 in the stands. It was the year of the 2015 FIFA Women’s World Cup—the year that one of Australia’s greatest football achievements occurred. After beating Brazil 1-0, the Matildas became the first Australian team – of men or women – in our history to progress to the quarterfinals of the tournament. There may have been a slump specifically in domestic football in 2015, but let’s not forget the bigger picture. Over 650,000 people from across Australasia visited our country for just over 20 days to watch the Asian Cup. That means potentially a few hundred thousand fewer bums on seats during the A-League season. And yet despite the lack of revenue coming from A-league turnout, it’s been predicted that the Asian Cup in 2015 raised over $80m in direct spending. So answering the question of whether a lack of A-League attendance really points to a lack of interest is a difficult question to answer. Mid-week fixtures and poor scheduling have played a massive part in the turnout, while the rise of sports streaming – underpinned by the recently available My Football app and Telstra service and match-day broadcasts – have surely put a dent in forecasted attendances across the board. When you pair that with the recent calendar of internationally significant football events – the AFC Asian Cup and 2015 FIFA Women’s World Cup – the paradoxical slip in turnout starts to make more sense. But for these excuses to become rational reasons, the A-League ought to appear on the mend now that the causes of the attendance flux have been removed. Flash-forward to present day, and all signs thus far in 2018 point to this season being the closest it has gotten in recent years to matching the highs of 2014-15. In Round 1 of the A-League, the Melbourne derby, which drew over 40,000 fans to Marvel Stadium – smashing last year’s attendance record of 36,433 for the Sydney derby – was an encouraging sign that attendances are on the mend this year. Less encouraging, however, are the current televised ratings, with the same fixture between Melbourne Victory and City only attracting 69,000 viewers via Fox Sports. All in all, with a milieu of star imports, greater coverage and more professional planning, the 2018 season is shaping up to be a great addition to the footballing calendar. The current ratings, however, remain a concern for the domestic game’s international reach. Moving forward, if any of the seasons gone offer a lesson from the past, it is that the appraisal of football in Australia should not be viewed in a vacuum. The A-League and W-League, the Socceroos and the Matildas all belong as members of a greater whole—they belong as parts of the greater idea of football in our nation. There may be a need for more kindling on the A-League flame, but it was never a source of light in and of itself. The A-League is a small part in a greater picture, a tapestry of football framed outside of our own backyard, and composed in the wider international community. If we are to appraise the puzzle, we need to look at all of its pieces.